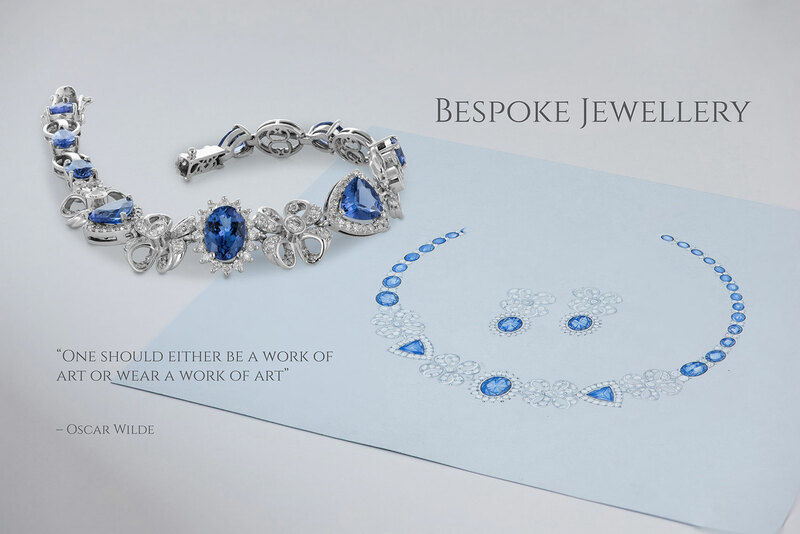 Nothing can compare with wearing a piece of jewellery that you or a loved one has helped to design. Galacia Designer Jewellery draws on the craftsmanship of some of the world’s top stonecutters and craftsmen. 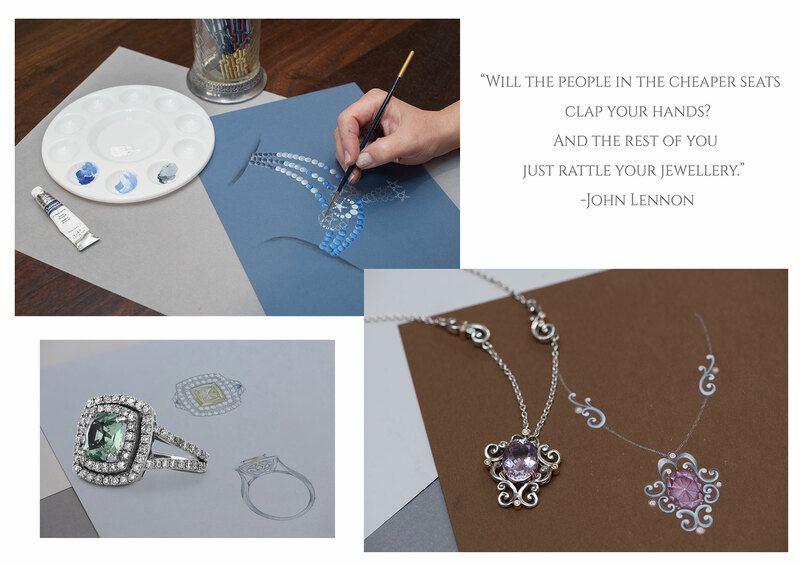 From the first sketch to the setting of each stone, you can participate in curating a design that is both rare and tailored to your needs. The process begins with a consultation with one of our designers who will discuss your ideas and offer inspiration while working strictly within your desired budget. Obsessed with the smallest of details, the designer will hand draw the concept from several angles for your approval, before passing it on to one of our skilled goldsmiths. Once the setting is created, our specialist stone setters meticulously position the gems into place before the goldsmith applies the finishing touches. Whether you want to design a personal engagement ring, reset a treasured family heirloom or just own a special piece of jewellery that is bespoke from start to finish, visit our workshop today.